Puting this up to get some interest. Thinking of seperating the car. Comes with modified loom, is very simple to wire only needs ignition and constant power to relays and fuse block. Trust PS13 Intercooler Kit, now suites AE86. Would bolt into KE70 but new gearbox crossmember would need to be fabricated. I have other parts im willing to sell, I guess you could say parting out the car ? It all depends on if there is interest, if this sells. I am looking for $4,000 flat. I am looking into freight to send it over east. Last edited by Matt-AE86; 30th January 2009 at 11:19 AM. so that means that it is a straight bolt on. i'm interested in placing that motor in my car. how was to balance of the car after that motor was put in? can we see a pic of how it looked in your sprinter please mate? thats fucken sick...sorry to invade but did you have to modify the trans tunnel or not? I did knock it in a bit, but once the engine was in place I could see there was no need for it. 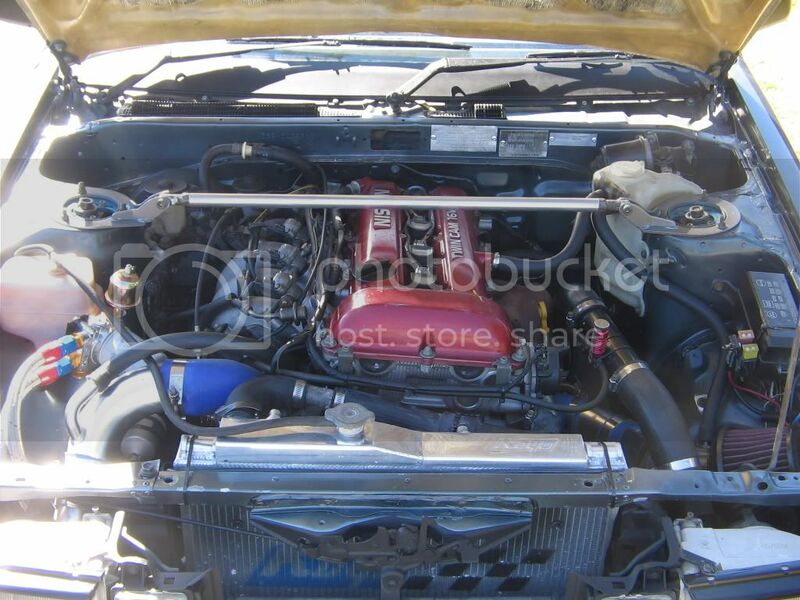 im keen on the motor just hope the postage over to nsw isnt heaps? and just double checking the motor come with everything needed to bolt striaght into the car. like all the hoses, cables, oil relocator and piping? any mods to the clutch slave cylinder at all? stuff like that. could you have just pm'd me. this thread is waaaaaaaay old and I don't have any of this anymore. please delete or close admin/mod.